Nestled amidst the extensive Western Ghats, the hill town of Chikmagalur is one of the best places in Karnataka for a tranquil retreat. 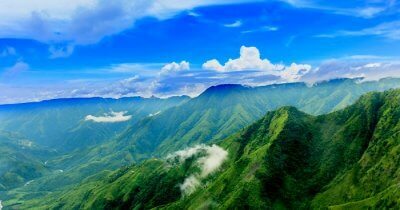 Lush green mountains, picturesque trekking trails, cascading waterfalls, and mystical temples. This never-ending list of best places to visit in Chikmagalur will lure you to plan a vacation amidst the calm, and serene hills of Karnataka. If you want to escape into nature, then there is no better place than the verdant hills of Chikmaglur. 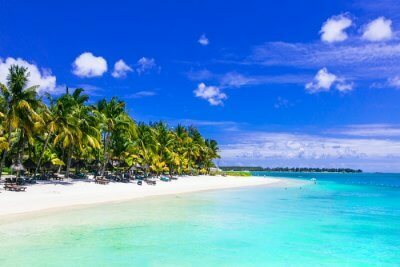 Breath salubrious air and enjoy picturesque landscapes. If you are looking for all the places to visit in Chikmaglur, here is list of all the best attractions for you to explore on your next getaway. 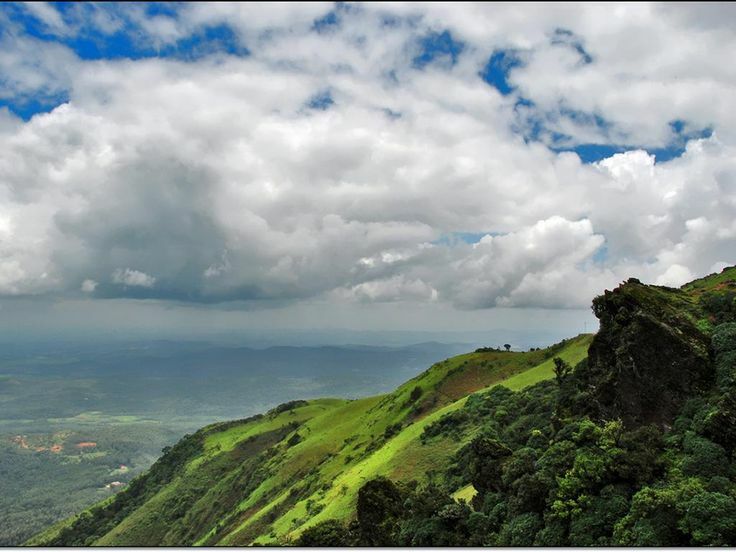 Located in the Chandra Dhrona range, at an altitude of 1950 meters, Mullayanagiri is the highest peak in Karnataka. It is one of the best places to visit in Chikmagalur for adventure seekers as they can indulge in thrilling activities such as trekking, camping, and hiking. 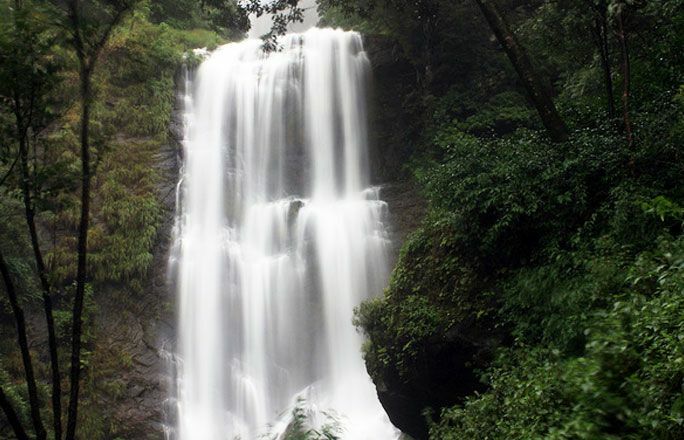 Popular Attractions: Bhagavathi Nature Camp, Surimale Falls, and Kadambi Waterfalls. 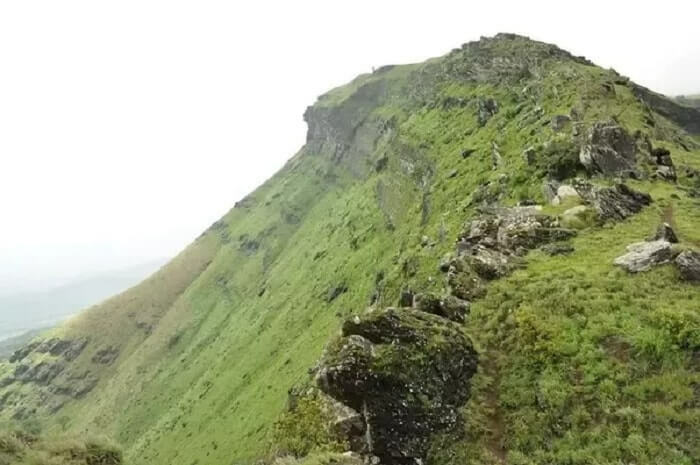 Named after the Muslim saint- Baba Budan, this peak is another famous place in the Chandra Dhrona Range that one must include in their Chikmagalur sightseeing tour. This mystical peak is a perfect example of communal harmony as it houses a famous shrine that is quite significant amongst Hindus, Muslims, and Parsis. Standing 168 meters tall amidst the picturesque Kemmanagundi hills, Hebbe Falls is one of the best places to visit in Chikmagalur in one day. Even though it is quite difficult to reach the falls, but the effort bears its fruit as one takes a dip in the pristine white water of the falls. This water is also believed to contain medicinal herbs that has gained the attention of numerous biologists and scientists. 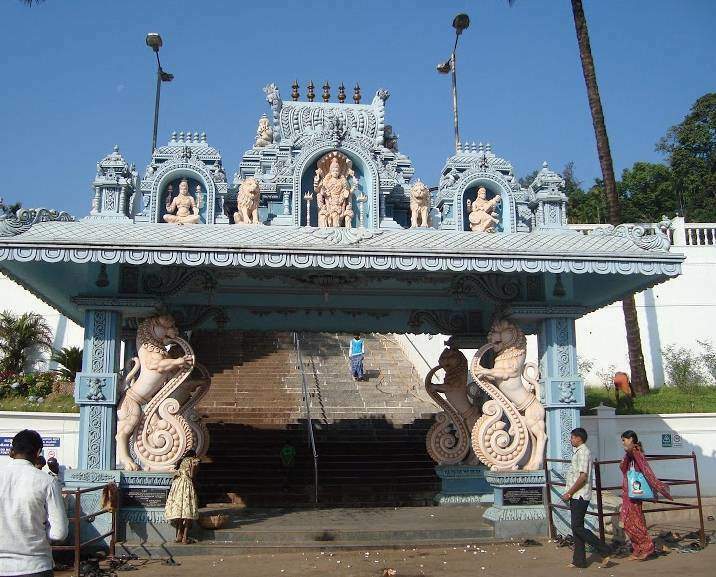 Situated on the banks of river Bhadra, Hornadu Annapoorneshwari Temple is a famous Hindu temple dedicated to Annapoorani, the Goddess of food. 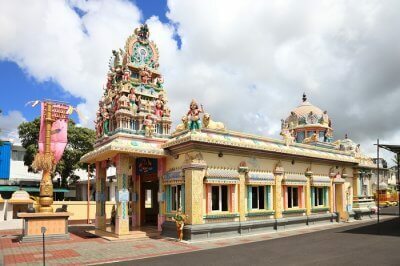 Nestled amidst the natural bounties of the Western Ghats, this temple is one of the best Chikmagalur sightseeing places where one can meditate for hours, amidst a serene, and peaceful environment. 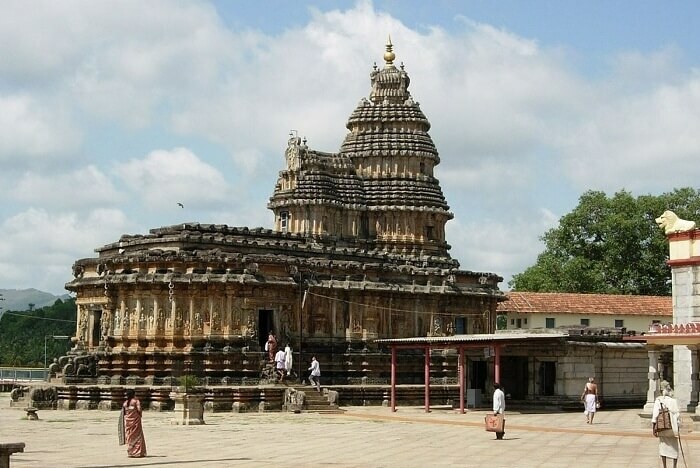 Sringeri Sharada Peetham is a renowned monastery established by Adi Shankara in the 8th century. 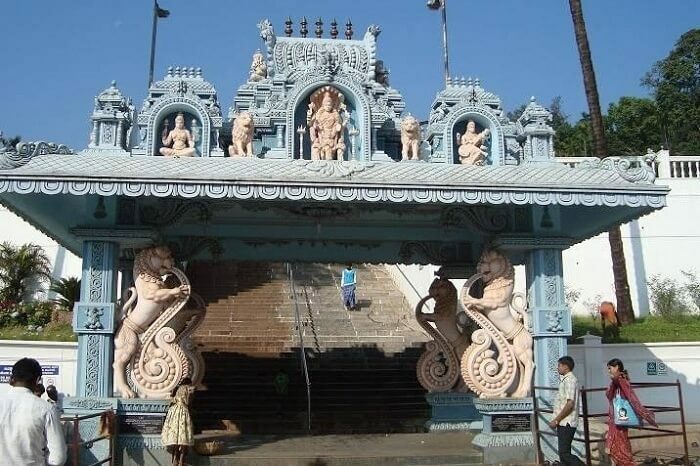 Located on the banks of the Tunga river, it is one of the best Chikmagalur tourist places where travelers can revitalize their weary souls amidst the peace and tranquil surroundings of the temple. Veera Narayana Temple is one of the most ancient temples in India built in the 12th century by the Hoysala Kings. 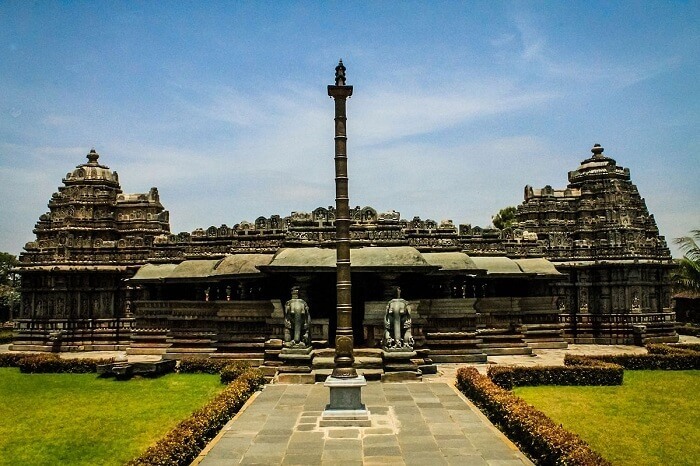 This mystical temple is one of the best places to visit in Chikmagalur to marvel the ancient architecture and peep into the rich cultural history of the age-old dynasties. If you want to witness the true beauty of nature, and think that you are physically fit to climb up a steep hill, then gear up for an adventurous trek to the Z point. 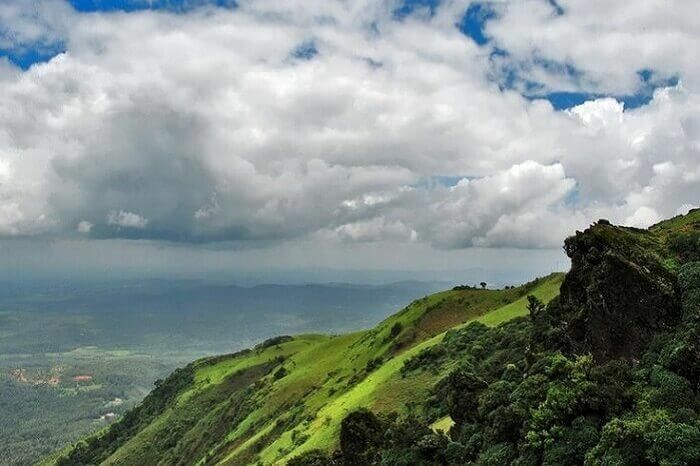 It is one of the best places to visit in Chikmagalur that offers breathtaking views of the lush green Western Ghats. Travelers can also choose to ride on a bike through the rocky terrain to experience the thrill of mountain biking. 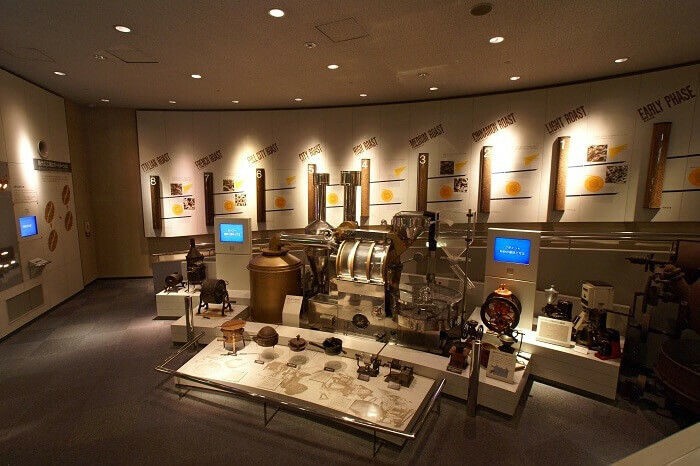 Take a tour of the Coffee Museum in Chikmagalur to gain insight into the history of coffee plantation in South India. Run by the Coffee Board of India, it is one of the best places to visit in Chikmagalur where one can witness the art of coffee making through a thematic representation in the museum. 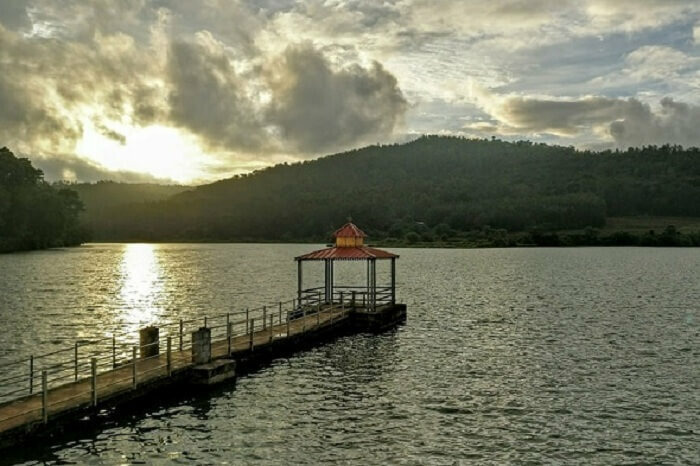 If procrastination is all you want to do, during your trip to Chikmagalur, then head to this man-made masterpiece, the Hirekolale lake. 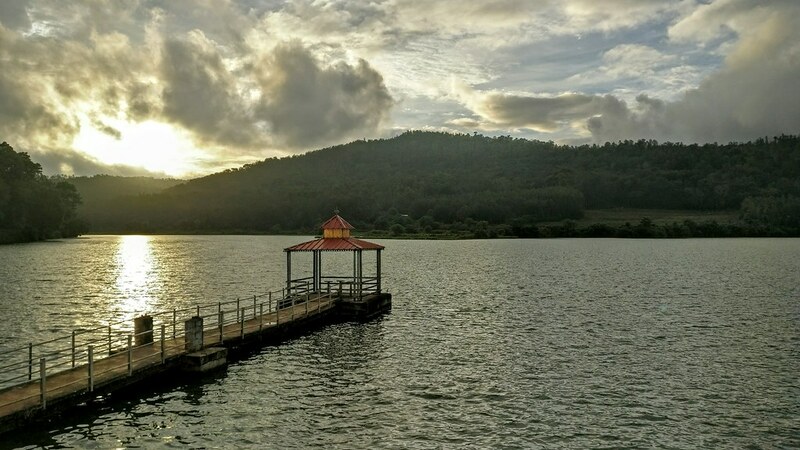 Surrounded by majestic mountains, and extensive fauna, this lake is one of the best places to visit in Chikmagalur where travelers can bask into the serenity of nature amidst the azure waters of the lake. Also known as ‘Scotland of India’, Coorg is one of the best places to visit near Chikmagalur that is known for its captivating hills, extensive coffee plantations, and numerous waterfalls. Not only the landscapes, but Coorg is also an adventure hotspot for activities like rafting, rappelling, trekking, and camping. Titled as the ‘Silicon Valley’ of India, Bengaluru is one of the most progressive, and developing cities of India. This capital city of Karnataka is one of the best places near Chikmagalur that boasts of a vibrant culture, bustling nightlife, uptown restaurants and cafes, opulent shopping malls, and everything else that goes into the making of a world-class city. The port city of Mangalore is a major commercial hub of Karnataka. 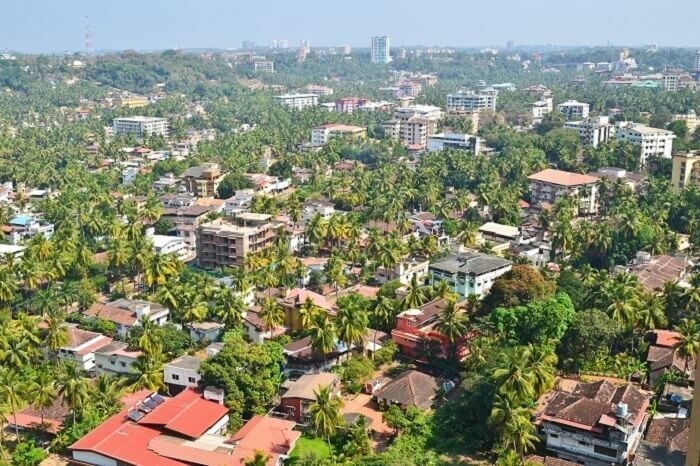 From popular Hindu shrines to churches and cathedrals, the city of Mangalore is one of the best places to visit near Chikmagalur that is known for its multicultural tradition, offbeat touch, and an extensive variety of seafood cooked in numerous exotic ways that will make you crave for more. Popular Attractions: Panambur Beach, Kudroli Gokarnath Temple, Mangalore beach, and Bejai museum. Known for its ancient Hindu temples, unembellished beaches, South Indian restaurants, and extensive forest regions, Udupi is one of the top places to visit near Chikmagalur. 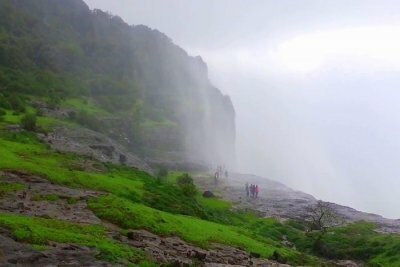 This tourist hotspot attracts a large number of travelers to witness its architectural grandeur, and natural bounties nestled between the Arabian Sea on one side, and the Western Ghats on the other. 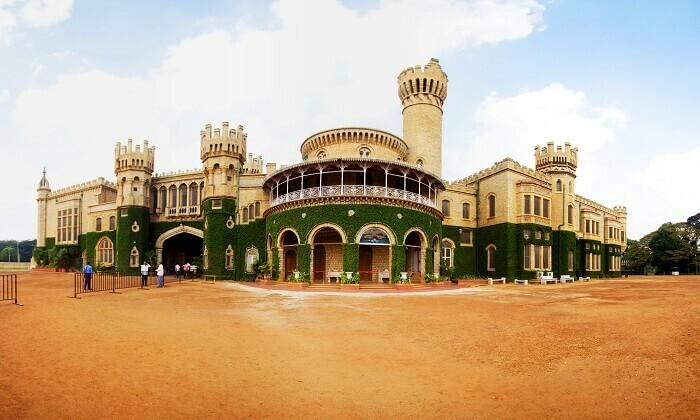 Plan a trip to the royal city of Mysuru to peep into the marvelous history of the city that reflects through its ornate structures, sophisticated culture, and ancient monuments. This dazzling city is one of the places near Chikmagalur which is known for its World heritage buildings, Yoga schools, and variety of spices. You may have seen many falls in your lifetime, but you have seen nothing like Kallthagiri Falls. The staggering beauty of these cascading waterfalls will put you in a trance. Such is the magnetism of this place that makes you feel like you are in God’s own backyard. If you are looking for places to visit in Chikmagalur in 3 days, then you should definitely out this one on the list. Apart from fun and devotional activities, you can also explore the trekking trails that goes into the dense jungles around. If you love spendig time amidst nature, then you should spend a day in Bhadra Wildlife Sanctuary. 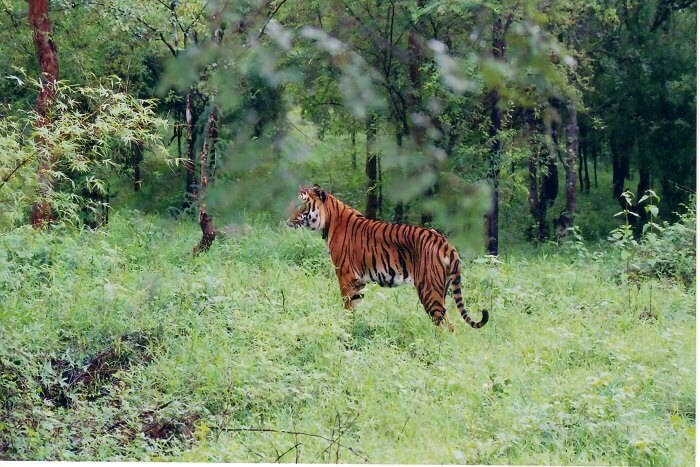 This sanctuary in Chikmaglur has the highest tiger population and the flora of this place never ceases to amaze you. Once you are in the park, you can also climb the Kallahathigiri Mountain where the views from the top will leave you impressed. 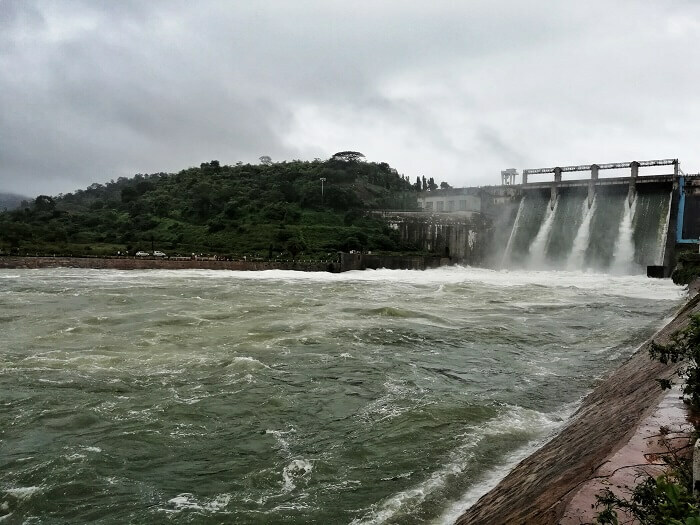 Built on the mighty River Bhadra, this gigantic dam is the landmark of Chikmaglur. It is one of iconic places to visit in chikmagalur city. There is no entry fee to visit the dam. In fact, most of the famous tourist spots like Kudremukh and Mullayanagiri are located near the dam. 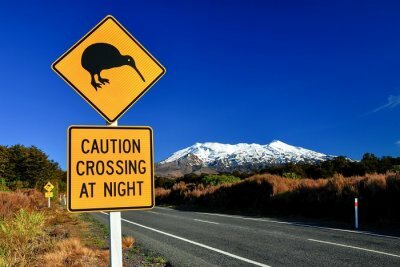 So, you will cross the dam on your way to these places. This mega structure is an example of concrete marvel that your eyes just cannot miss. 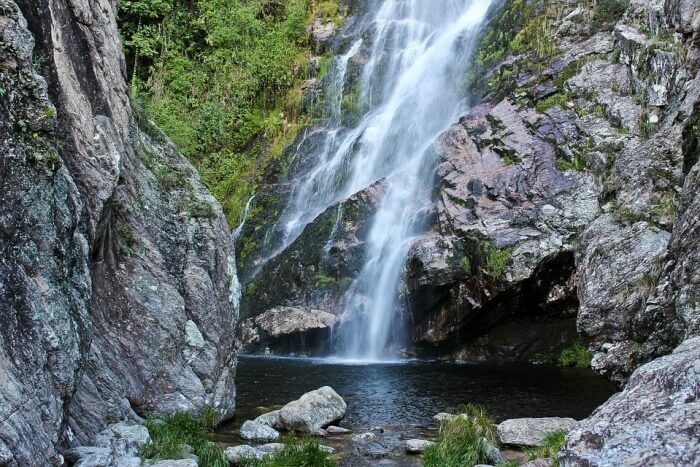 One of the best part about Chikmaglur is that there are plenty of waterfalls in the vicinity. 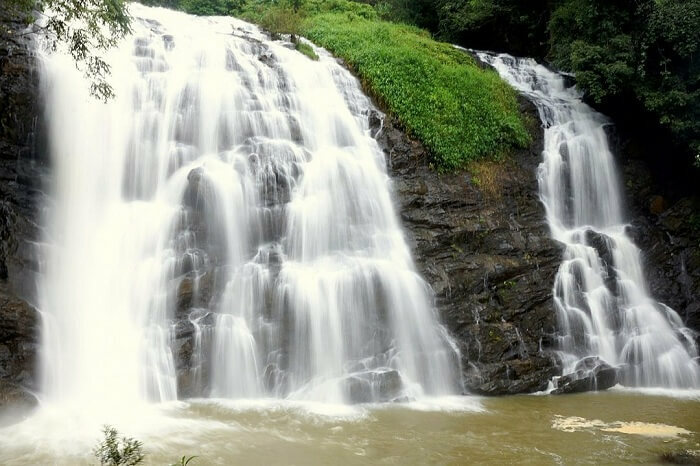 One of the natural beauties is Manikyadhara Falls thare located next to Baba Budan Giri Hills. The regions boasts of impressive trekking trails and stupendous landscapes where you can enjoy a small day picnic with your family. Even during the summer, the temperature of this waterfall remains refreshingly cold. And you thought there were nit much attractions in Chikmaglur. There are plenty of places to visit in Chikmaglur that you would at least need a week’s vacation to check them all. 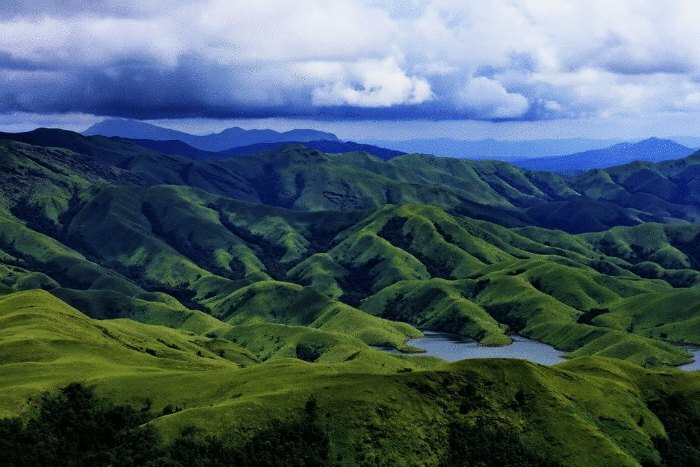 Dreaming of a vacation amidst these best places to visit in Chikmagalur? 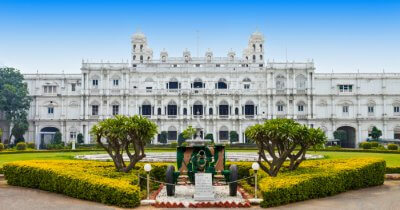 Book a customisable holiday in Karnataka with TravelTriangle to relish the unexplored marvels of the city. Q: What is the best time to visit Chikmagalur? A: September to March is the best time to visit Chikmagalur when the weather is quite pleasant, and apt for sightseeing and outdoor activities. Q: Which are the best trekking trails in Chikmagalur? A: Mullayanagiri, Baba Budan Giri, and Kudremukh peak trek are some of the best trekking trails in Chikmagalur. Q: Which are the best religious places to visit in Chikmagalur? 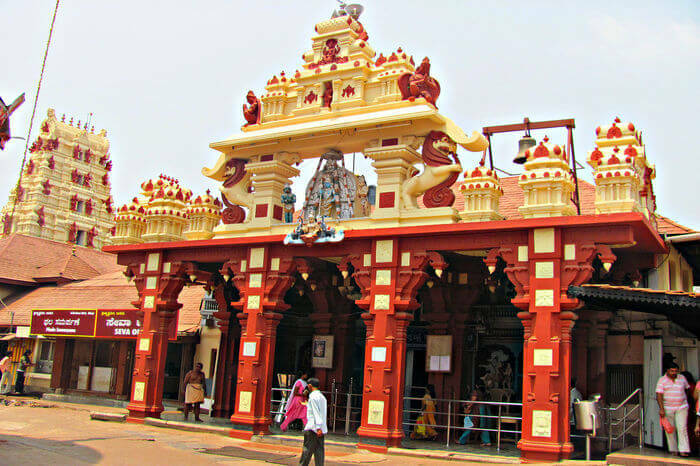 A: Hornadu Annapoorneshwari Temple, Veera Narayana Temple, and Sringeri Sharada Peetham are some of the best religious places to visit in Chikmagalur. Q: What are the best things to do in Chikmagalur? 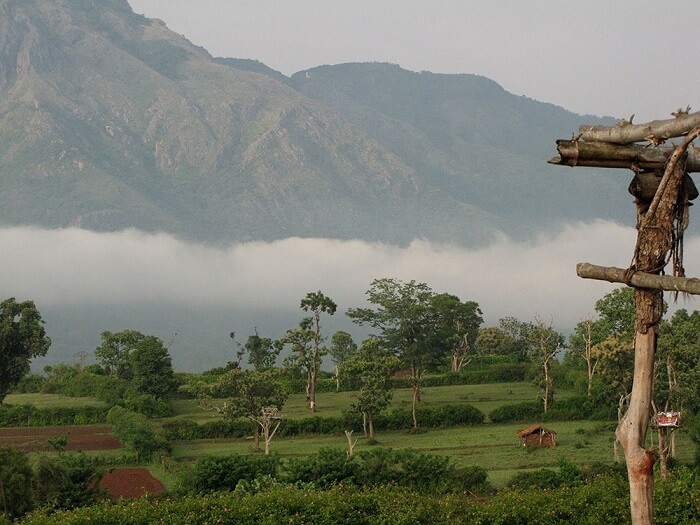 A: Trekking, camping, rafting, mountain biking, and hiking are some of the best things to do in Chikmagalur. Q: Which are the best restaurants in Chikmagalur? A: Maharaja Restaurant, Vishnu Delicacy, Savi Veg Restaurant, and Planters Court are some of the best restaurants in Chikmagalur.